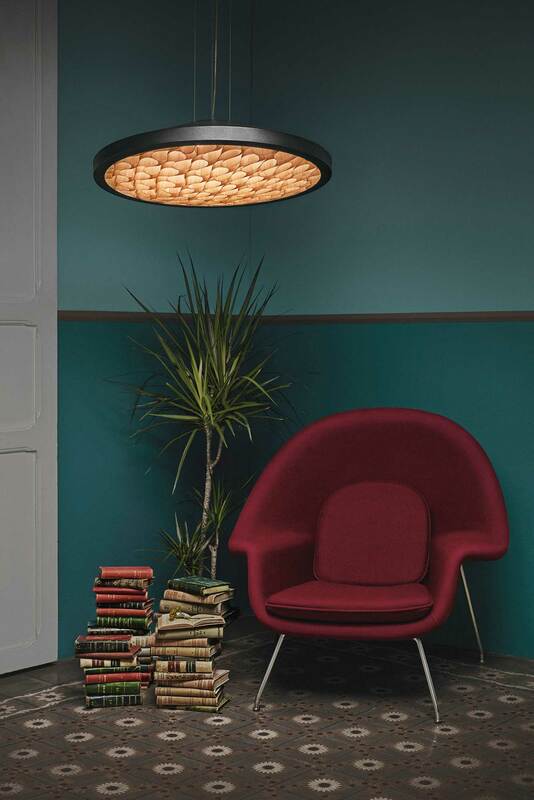 CERVANTES SUSPENSION / CEILING LAMP. 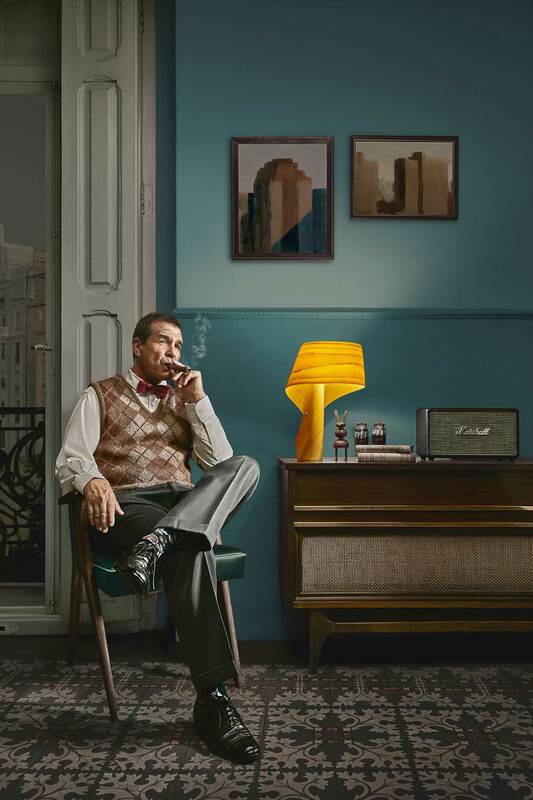 LZF Lamps’ inventive 2016 campaign, Telling Tales, features a collection of stories where the lamps support and illuminate the lives of the 1950s characters. 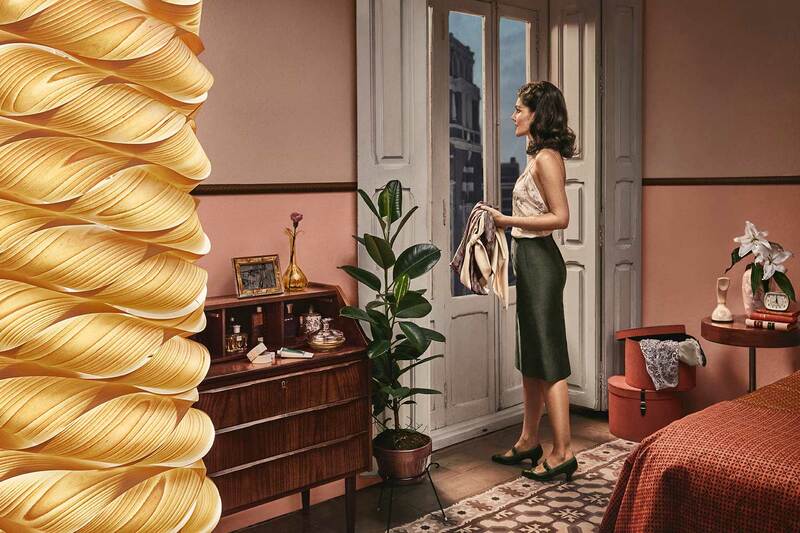 Inspired by the work of American painter, Edward Hopper, Valencia-based Masquespacio studio suggested that the images of the campaign, conceived and directed by Marivi Calvo, bear the same rusty colour scheme and rich, stylised tone as the artwork. Meanwhile, Alfred Hitchcock’s 1954 film, Rear Window, became the starting point for the campaign’s images, photographed by Maria Mira and Cualiti Photo Studio, to resemble still frames from a film. Through the words of writer and novelist, Grassa Toro, that accompany the campaign, these glimpses into the private world of the characters don’t reveal their full story, but are merely snapshots, as if a spectator is catching glimpses of them from a distance. 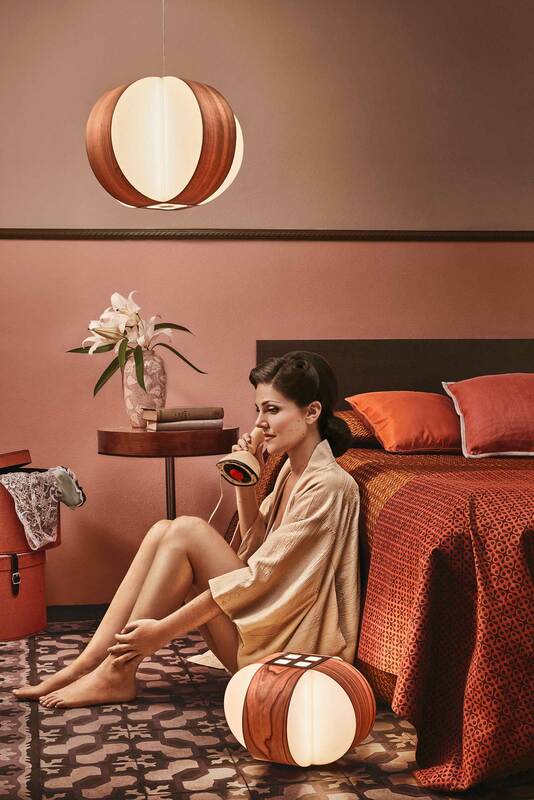 The campaign’s prop and costume designer, Rocio Pastor, placed the two characters, Julie and Nelson within moody mid-century modern furnishings such as Eero Saarinen’s Womb chair (Knoll, 1948) and vintage-inspired Marshall speaker cabinet, while dressing them in beautifully detailed garments. 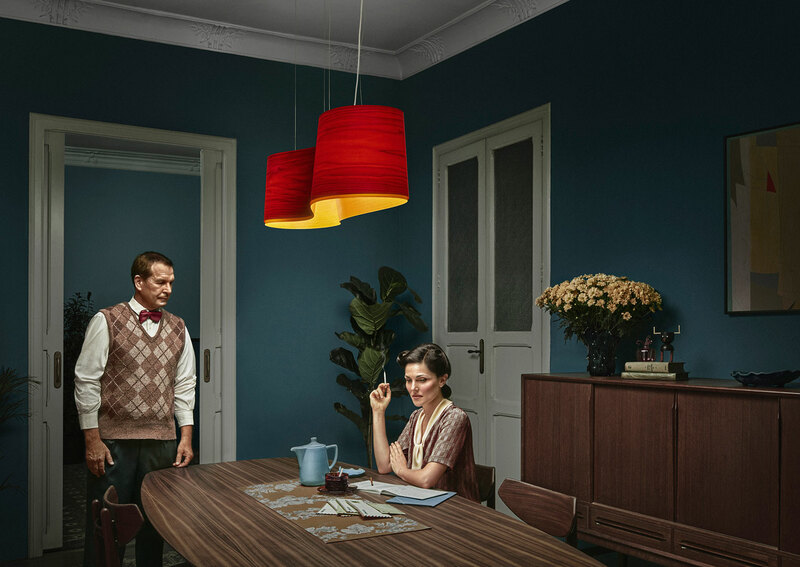 Throughout all the images and stories, the gentle glow of the LZF Lamps, such as their New Wave suspension and Air MG table lamps, becomes the focal point around which the story revolves around. 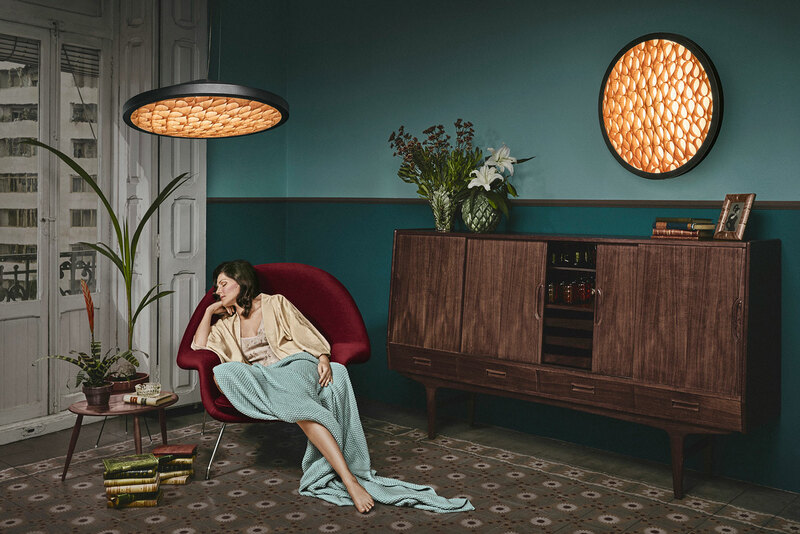 LZF Lamps are available in Australia from KE-ZU. Casa CS by Moramarco+Ventrella Architetti.